1) Check Kroger Gift Card Balance By Phone, 1-866-822-6252. 2) Check Kroger Gift Card Balance Online, Click Here. 3) Check Kroger Gift Card Balance At Any Kroger Location. After you have your Krogers balance you can either sell your Krogers gift card and turn your card into cash or use it. If you choose to sell you can get cash for your unwanted gift cards on Giftah.com, it is fast and easy to get cash for your Krogers gift card. If you decide to use your gift card make sure you check out Giftah.com to see if any discount Kroger gift cards are available. With a discount Kroger gift card you can save money on anything you purchase at Kroger or any of its partners. Either way Giftah.com will help you put more money in your pocket. Do you have a McDonald’s gift card or Arch Card but don’t know what the cards balance is? In this post we will look at the different ways you can check the balance on your McDonalds gift card. We will also let you know how to turn your McDonalds gift card into cash or buy discount McDonalds gift cards so you can save money on your next trip to McDonalds. There are three ways to check the balance on a McDonalds gift card, you can check the balance online, by phone or in store. 2) Check McDonalds Gift Card Balance Online, Click Here. 3) Check McDonalds Gift Card Balance At Any McDonalds Location. After you check your balance online you can either go enjoy a tasty meal at McDonald’s or you can turn your McDonalds gift card into cash. You can now sell your unwanted gift card to Giftah.com, they will give you cash for just about any of your unwanted gift cards. Nearly all gift cards for major retailers are accepted, to sell your McDonalds gift card just enter the information on their sell page, mail the card and within 24hrs of the balance being verified you will receive payment over Paypal (checks are available on request). If you don’t feel like using your McDonalds gift card why not turn it into cash and buy something your really want. If you do decide to use your McDonalds gift card be sure to check out Giftah.com to see if any discount McDonalds gift cards are available. You can use discount gift card from Giftah to save cash on your next visit to McDonalds, whether you are buying or selling Giftah puts more money back in your pocket. If you have a ExxonMobil gas gift card but do not know the balance you have come to the right place. In this post we will look at the three different ways you can check the balance on your ExxonMobil gift card. After you check the balance on your gift card we will tell you how to sell your ExxonMobil gift card, thats right, you can turn your ExxonMobil gift card into cash. First lets look at the three different methods you can use to view your ExxonMobil gift cards balance. 1) Check ExxonMobil Gift Card Balance By Phone, Call 1-800-919-8646. 2) Check ExxonMobil Gift Card Balance Online, Click Here. 3) Check ExxonMobil Gift Card Balance At Any ExxonMobil Gas Station. After you find out the balance on your ExxonMobil gas gift card you can either go fill up the tank or sell your ExxonMobil gift card. If you don’t own a car or would rather have cash than gas consider selling your ExxonMobil gift card to Giftah.com, you will receive cash for your unwanted gift card that can’t be spent on whatever you really want. If you do decide to fill up your gas tank be sure to check out Giftah’s listings of discount gas gift cards, you can save money then next time you fill up with discount gas gift card. 1) Check Forever 21 Gift Card Balance By Phone, Call 1-888-494-3837. 2) Check Forever 21 Gift Card Balance At Any Forever 21 Retail Location. After you have determined the balance of your Forever 21 gift card you can either go shopping or turn your gift card into cash. You can sell your Forever 21 gift card on Giftah and use the cash for whatever you want. To sell your gift card just head over to Giftah.com and enter in your details, you will have cash in no time! If you do choose to go shopping with your Forever 21 gift card consider checking Giftah’s discount gift card store to see if any discount Forever 21 gift cards are available. Either way you are putting money in your pocket. 1) Check Ticketmaster Gift Card Balance By Phone, Call 1-866-828-4400. 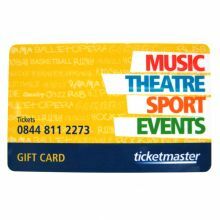 2) Check Ticketmaster Gift Card Balance Online, Click Here. 3) Check Ticketmaster Gift Card Balance At Any Ticketmaster Retail Location. Whether you intend to use your Ticketmaster card to purchase some tickets or sell your Ticketmaster gift card for cash Giftah will help you get the most value for your card. Giftah sells discount Ticketmaster gift cards which means you can save up to 30% off the price of your tickets. If there are no upcoming shows you are interested in Giftah will give you cash for your unwanted Ticketmaster gift cards. Giftah will give you cash for your cards, we are currently purchasing cards from over 200 retailers freeing consumers everywhere from their dusty gift cards! 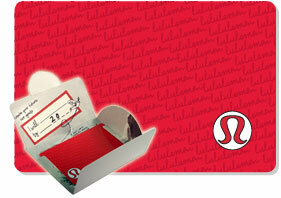 There is still a large number of unused Linens n’ Things gift cards out there, tens of millions of dollars worth. Although the Linens n’ Things bankruptcy was highly publicized many unlucky consumers were left holding Linens n’ Things gift cards when the company went under. So what can you do if you still have a Linens n’ Things gift card? Are the Linens n’ Things gift cards worth anything? What can you do in the future to make sure you are not left holding a worthless gift card? We will answer all of these questions and try to find the optimal solution to this problem. What can you do with Linens n’ Things gift cards? If for some reason you are reading this while standing you had better sit down. We are sorry to inform you that the Linens n’ Things gift card you own is now worth the price of the plastic in the gift card. If you had a very large gift card you may still be able to get some cash from it, but if your card was in a lower denomination you might want to consider using it for some sort of arts and crafts project. Several other retailers who are still in business allow you to recycle gift cards in their stores. Look up a retailer in your state and do the environmentally friendly right thing with your piece of plastic. Are Linens n’ Things Gift Cards Worth Anything? Linens n’ Things has re-launched as a website, but cards issued by the retail store Linens n’ Things will not be honored. The website does not offer any gift cards, so essentially every single Linens n’ Things gift cards are useless on the site. Basically Linens n’ Things gift cards are worthless, every one of them. Linens n’ Things gift card holders can make a claim on what is left of the company’s assets. Consider a Linens n’ Things gift card to be like a share in the company…a really weak share that gets what’s left after every other form of shareholder is paid. If you have a Linens n’ Things gift card worth a couple thousand or tens of thousands of dollars it might be worth filing a suit against whatever is left of the company, just don’t forget those expensive legal fees! What we are trying to say is your Linens n’ Things gift cards are completely useless. How Can You Make Sure You Gift Cards Do Not Become Worthless Pieces of Plastic? With the way the economy is shrinking you can expect many more retailers to go bankrupt. In the future consumers may not have as much of a warning of a retail gain collapsing as they did with Linen n’ Things bankruptcy. The best thing consumers can do is use their gift card immediately or sell the gift cards. 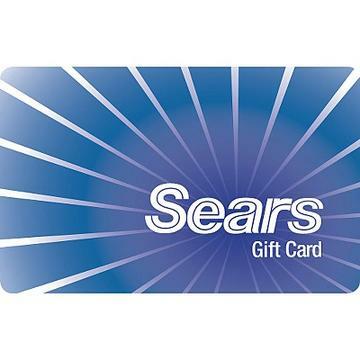 If you are not planning on using a gift card soon get cash for your gift card. It is not worth hanging on to a card that you will forget about, lose or have the store go bankrupt on you. Its much smarter to sell unwanted gift cards for cash, you can always invest the money you get or use it to buy something you actually need. The best place to sell gift cards online is Giftah, the gift card marketplace. Let thousands of dedicated users bid on your card. After a short auction you will have real money for your gift card, not some weak promissory note belonging to an even weaker corporation. Free your purchasing power by selling your gift cards before it’s too late.